When I was growing up, I thought the Royal Pavilion was the most majestic, magical place I'd ever seen. Fat, onion-shaped domes, dizzying minarets and detailed colonnades - it was like having the Taj Mahal in your back garden. Even now, when I see its bulbous domes illuminated at night, flatteringly uplit in glorious technicolor, it thrills me to my bones. This spring, it launches a new underground tour of King George IV's secret passageway to the Dome, which originally housed the royal stables. The tunnel was built in 1821, when the King's popularity was in a state of flux and he felt unsafe to be seen in public. Rumour had it he used the tunnel to visit his mistress, Ms Fitzherbert; however, this was found to be untrue, as, in fact, he'd had it built so that he could visit his beloved horses. Despite its 200-year history, the Pavilion is far from being a fusty old museum. Brilliant audio tours guide you around its extravagant interiors, past the opulent, gilded dragon-draped chandeliers in the dining room, through the once-uber-modern kitchens (complete with palm trees, naturally) to the heavily gilt-and-rouged Music Room. 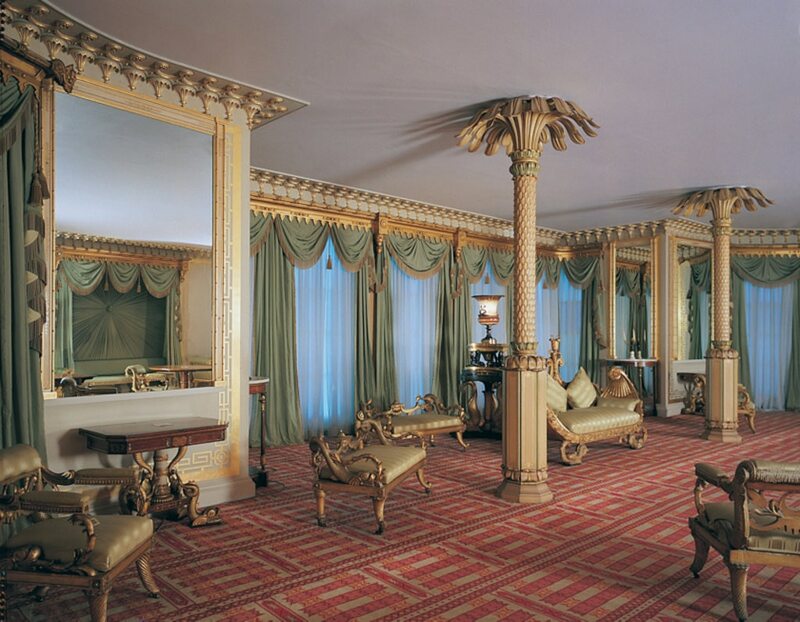 Upstairs, it houses the King's boudoir and Queen Victoria's rather understated sleeping quarters. With an excellent gift shop and a tearoom serving good homemade cakes, it's a delightful place to spend the afternoon. In fact, it's partly down to the arrival of Prince George and the construction of his Royal Pavilion that Brighton is what it is today. Back in the late 1700s, Brighton was establishing itself as a seaside resort, enticing the well-to-do circles to come and 'take the waters'. Prince George loved to visit and fell in love with its charming, frivolous atmosphere, the up-to-date fashions and lust for good living, plus a daily dip in the briny English Channel was deemed good for his health. The Prince's presence seemed to have a stratospheric effect on the city. Within a few years this once-modest fishing town grew into a fashionable resort with grand Regency crescents lining the seafront. Not sated with his homes in London and Windsor, the Prince ordered a shiny new palace to play in. By now, he'd been promoted to Prince Regent and drafted in Henry Holland and then John Nash to create his exotic, Indo-Sarenic pleasure palace. However, it seemed more a frat house than a royal residence, as the exuberant Prince had an endless parade of house guests and threw the most legendary parties, often lasting several days (and thus Brighton's reputation for fun begins...). George was eventually made King in 1820 and died a decade later. When Victoria took the crown, the opulent palace never really appealed to the stern monarch and she flogged it to Brighton for £53,000. It's had a chequered life since. 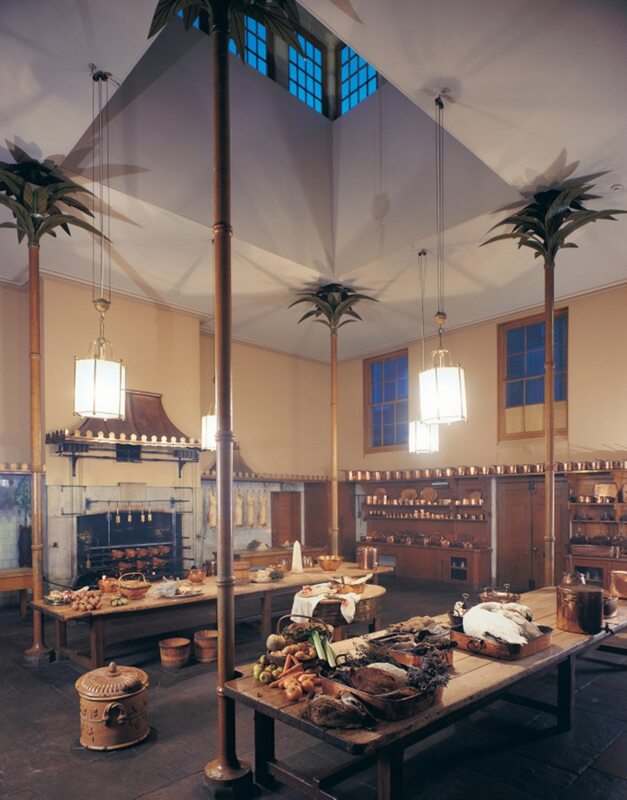 During WWI, it was used as a hospital for Indian soldiers (see the temporary exhibition until 28th February), it has survived fires, storms, gas explosions and has been intricately restored over the years. This spring, it will offer visitors tours of the basement rooms and the secret tunnel, as well as the Exotic Creatures exhibition, which depicts the animals gifted to royal collections during the 18th and 19th Century (untl 28th February). "I've always loved the Pavilion," says Maxine, a writer born and bred in Brighton, "I remember it as a kind of pale duck-egg green in the Seventies, then covered in scaffolding on and off for years, and then born again in a pristine cream. It's really quite insane when you consider it - a mass of domes and minarets and fancy ornamentation in the centre of town. It's such a folly and that's why, in my eyes, it's the defining feature of Brighton." 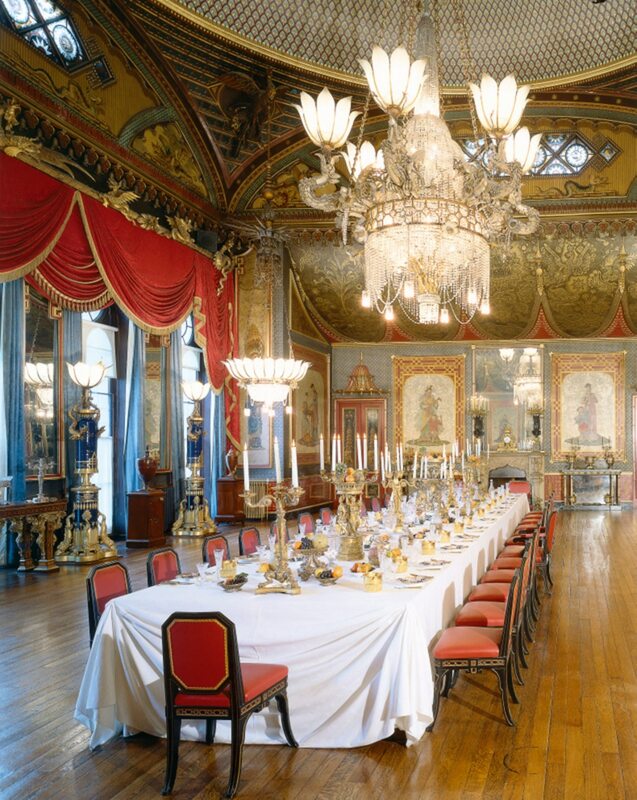 Want to experience the Royal Pavilion for yourself? Check out our hotel deals for Brighton. All images courtesy of the Royal Pavilion. Located in Brighton, this beachfront hotel is in the city center, just steps from Brighton Centre and Churchill Square Shopping Centre. Brighton Beach and Brighton Pier are also within 15 minutes. Just 2 blocks from Brighton Centre, Hilton Brighton Metropole is within a 15-minute walk of Brighton Museum & Art Gallery, Royal Pavilion, Sea Life Centre, and Brighton Pier. London is 53 miles away. Nestled on the beach, this Brighton hotel is just steps from Brighton Fishing Museum and Brighton Beach. Churchill Square Shopping Centre and Brighton Pier are also within 10 minutes. Situated near the beach, this eco-friendly hotel is within a 15-minute walk of St. Bartholomew's Church and Brighton Museum and Art Gallery. Brighton Royal Pavilion and Churchill Square Shopping Centre are also within 1 mi (2 km). Additional policies and fees may apply when booking more than 7 rooms. For more details, please contact the office using the information on the reservation confirmation received after booking. This hotel will place an authorization for 1 night for any bookings where payment for the stay will be made on site instead of at the time of booking. For more details, please contact the office using the information on the reservation confirmation received after booking. With direct access to the beach, this Brighton hotel is in the city center, steps from Brighton Centre, Brighton Beach, and Churchill Square Shopping Centre. Brighton Pier and Brighton Royal Pavilion are also within 10 minutes. Nestled on the beach, this Brighton hotel is within a 15-minute walk of Peace Statue, Brighton Beach, and Churchill Square Shopping Centre. Brighton Pier and Brighton Sea Life Centre are also within 1 mi (2 km). This hotel is housed in two interconnecting Regency buildings, located on the city's seafront, adjacent to the Old Steine and war memorial, and directly opposite the beach and Brighton Pier. Free stay applies to children under 18 years old staying in the same room as adults. Adult must order from the table d'hôte/à la carte menu for children to receive the complimentary meal. Children can only order from children’s menu. Meals are served in the hotel's dining area and may not include taxes or gratuities. Valid anytime, subject to availability. Other restrictions may apply. Located in Kemptown, this hotel is within a 10-minute walk of Brighton Sea Life Centre, Brighton Pier, and Brighton Royal Pavilion. Brighton Museum and Art Gallery and Brighton Beach are also within 15 minutes. Situated on the waterfront, this hotel is within a 15-minute walk of Peace Statue, Brighton Beach, and Churchill Square Shopping Centre. Brighton Pier and Brighton Sea Life Centre are also within 1 mi (2 km). Situated near the beach, this romantic guesthouse is within a 10-minute walk of Regency Square, Brighton Beach, and Churchill Square Shopping Centre. Brighton Pier and Brighton Sea Life Centre are also within 1 mi (2 km). The luxurious Drakes Hotel in Brighton is a 4 star hotel and an excellent place to stay for a truly memorable holiday in England or romantic getaway. Situated along the beautiful waterfront, Brighton is a favorite seaside resort destination for families and leisure travelers. The hotel is home to the renowned Restaurant at the Drakes with an acclaimed head chef offering a 3 or 5 course chef’s menu along with spectacular wine selections for a pleasing fine-dining experience. The Drakes also offers a welcoming cocktail bar providing spectacular views. The Drakes Hotel is a spectacular event venue for intimate weddings or private functions, such as a board meeting or training seminar. For the ultimate indulgence, guests are welcome to take advantage of in-room massages as well as a variety of soothing and rejuvenating spa treatments. While vacationing in Brighton, guests can enjoy sailing or yachting, cycling, golfing , or simply spend the day at the pristine beaches that line Brighton. The city is also home to other family-friendly activities, bars and nightlife, shopping, cultural events, and entertainment. Located in Kemptown, this hotel is within a 10-minute walk of Brighton Sea Life Centre and Brighton Pier. 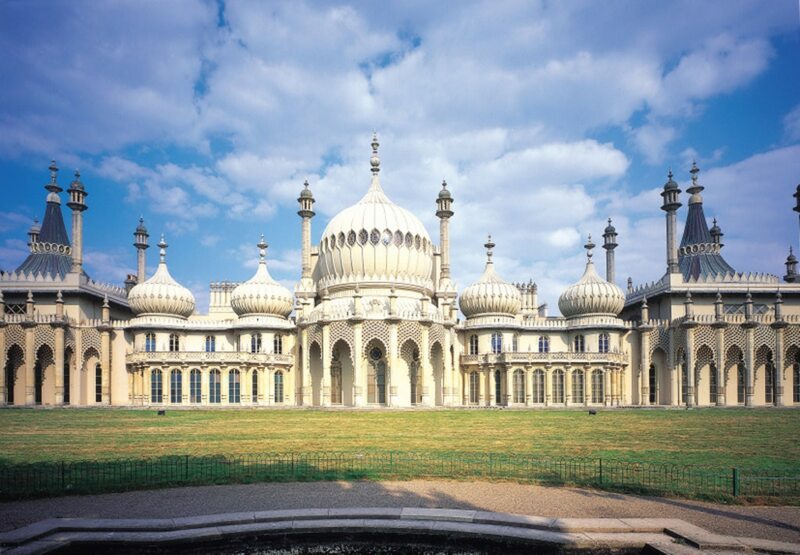 Brighton Royal Pavilion and Brighton Museum and Art Gallery are also within 15 minutes. Situated near the beach, this bed & breakfast is within a 10-minute walk of Peace Statue and Brighton Beach. Churchill Square Shopping Centre and Brighton Royal Pavilion are also within 1 mi (2 km).